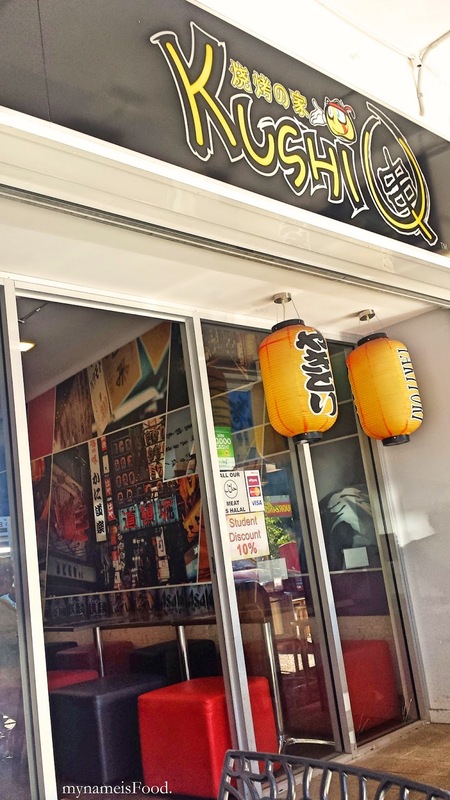 Kushi Q, Hawken Drive, St Lucia, Brisbane - my name is Food. 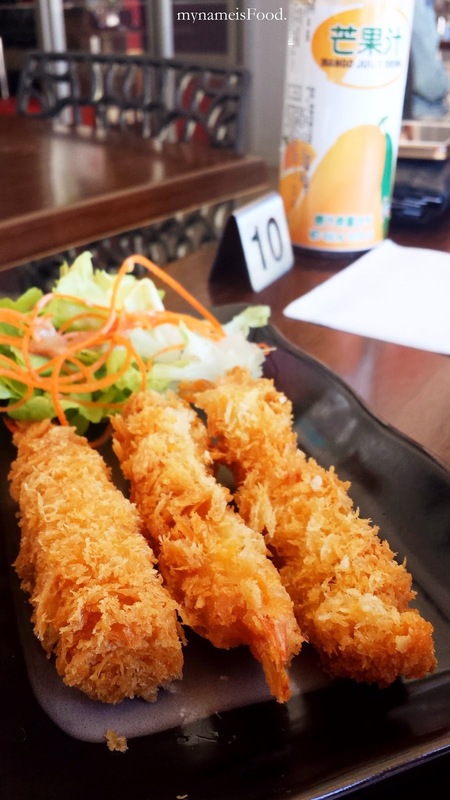 Kushi Q offers traditional Japanese dishes, both eat in and takeaway is available. Located on Hawken Drive, easy access for students especially. Came here for lunch with a friend of mine and wasn't sure of where to eat but wanted to go somewhere around St Lucia. Students do get 10% off by the way, so make sure you do show your ID. It was really empty when we came in, there was only probably only one table filled and that's it. Unfortunately, we were quite disappointed that when we made our decision of what to order, the person in the counter informed us that there were no meats available so only vegetarian or seafood were available. Since we were just tired, being it a sunny day too, we just said whatever and just re-picked our order again.. Although, we both actually wanted meat dishes. 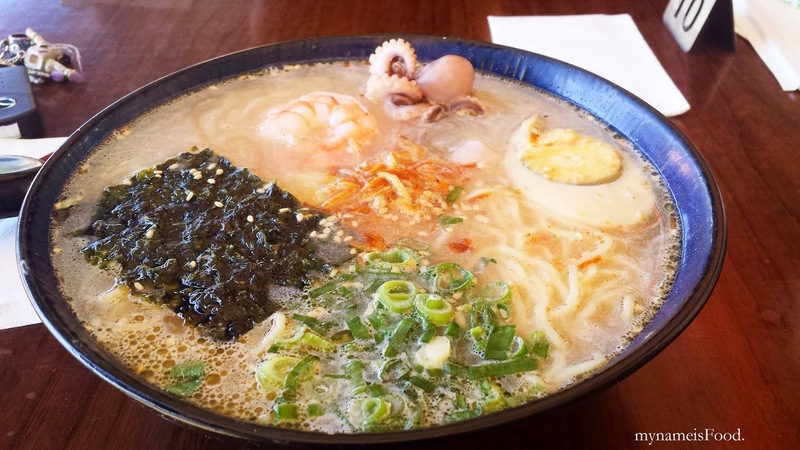 'Seafood Ramen' ($15.6) consisted of Japanese fresh hand made thin flour noodles with special broth soup served with seafood (prawns, squid, octopus). A slice of seaweed, a handful of chives and half an egg was also topped on top of the ramen. Although the dish itself was not too bad, I found that it was not worth the price. I have eaten ramen with the same price range, being the broth more rich and the whole dish just much better than how this was. The amount of seafood given, was maybe only a few pieces, which definitely would not fill you up. You might just feel full just because of the broth and the noodles. 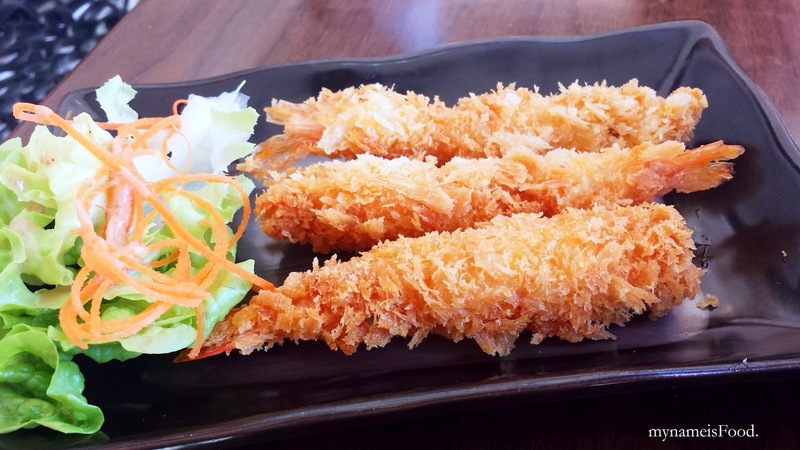 'Tempura Prawn Udon' ($15.84) consists of Japanese thick wheat flour noodles with special broth soup served with fresh prawns crumbed in panko (traditional Japanese batter mix). I found that the udon was not as nice as it looks. 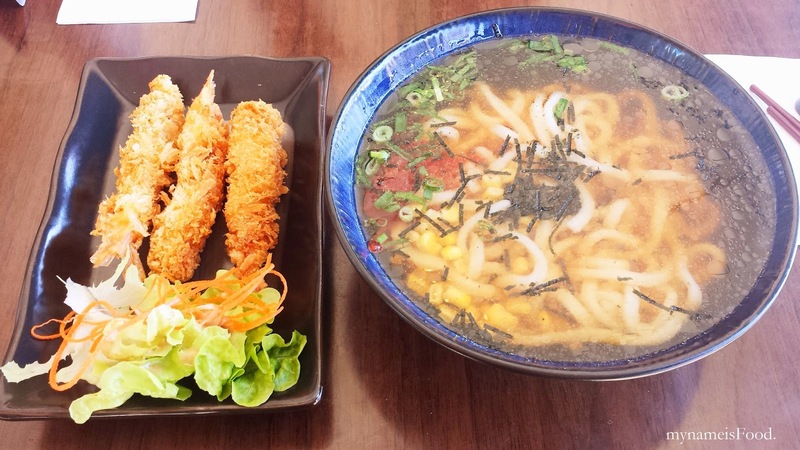 The tempura udon was quite nice, crumbed well, not oily and the prawns were not too small. 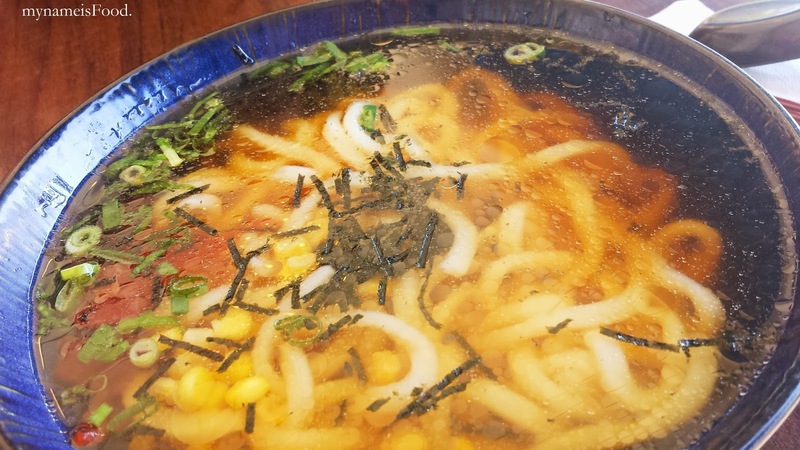 Though it did not fill you up and again, the udon's broth did not satisfy me since it just seemed quite oily. 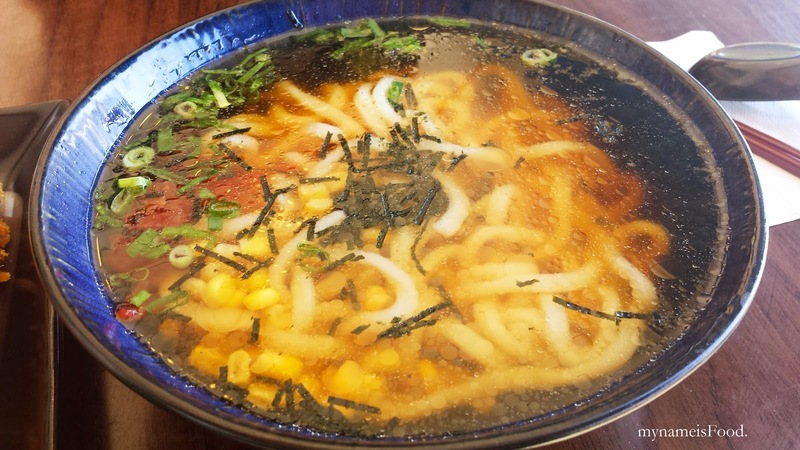 The udon had bits of corn, japanese red ginger, seaweed and chives. You can see by the broth's colour, you can see the oil which made me tingle a bit, since although I do like fried food, but oily broth? No thanks..